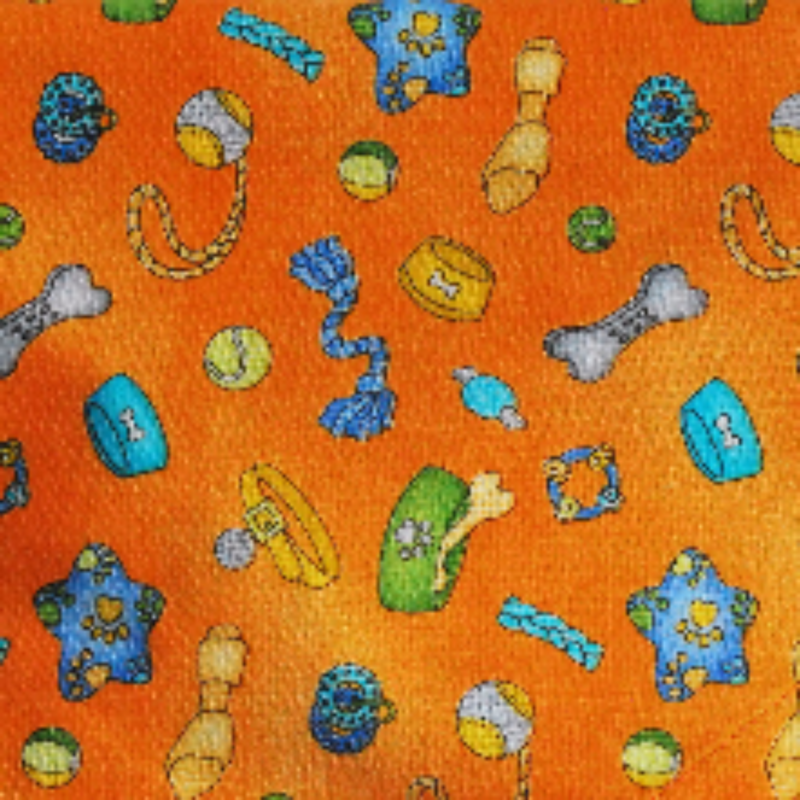 A fabulously fun and funky 100% cotton dog Bow Tie in a lovely bright shade of golden orange. The print incorporates all sorts of doggy treats...bones, tug toys, chews, balls, dog bowls etc. This is a lovely dog bow that will make your dog stand out in the crowd, and he/she will receive lots of admiring looks and compliments!